Quick. Name a hard cider maker on the Central Coast. 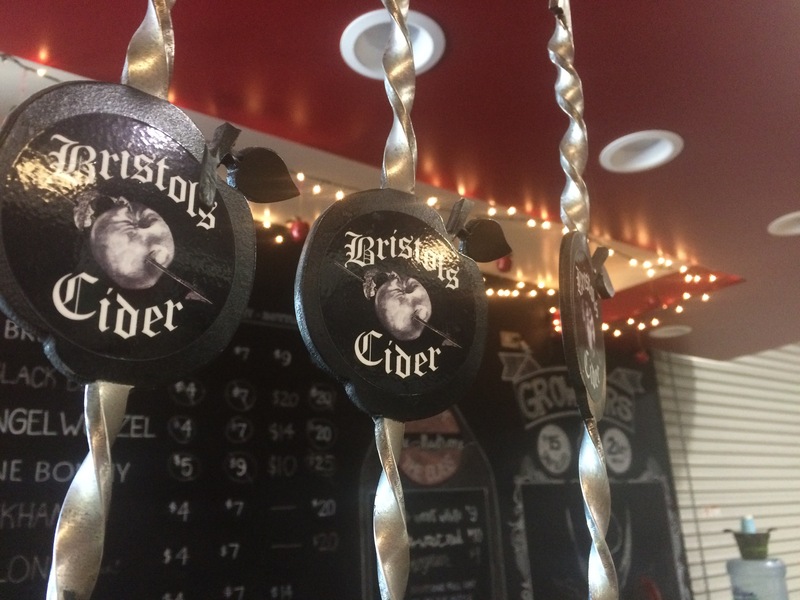 If you’re like many people, the first place that comes to mind when you think of hard cider is Bristols Cider House in Atascadero. The founders of Bristols Cider House, Neil and Marci Collins, and Neil’s sister Jackie Meisinger, opened the cidery to share the ciders of their native Bristol, England with the Central Coast. 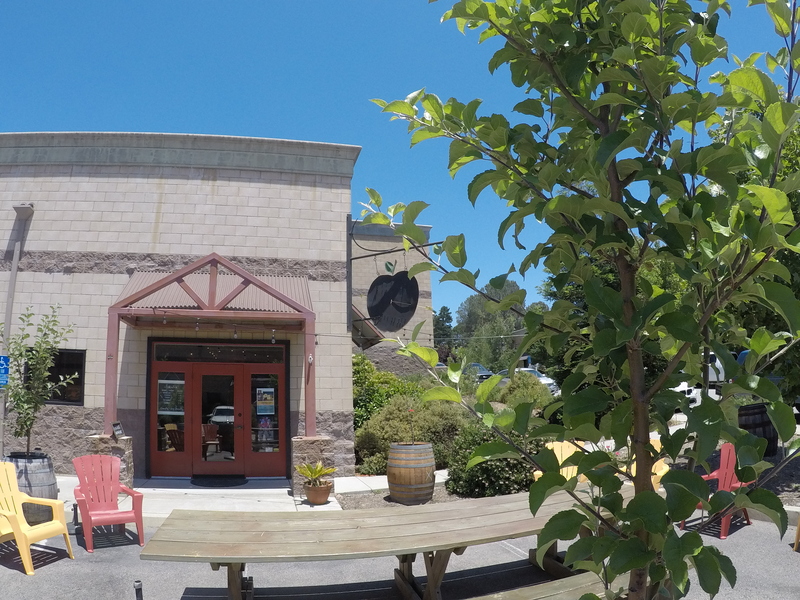 Today, Bristols Cider House is an institution—one of the oldest, biggest, and well-respected hard cider companies on the Central Coast, as well as throughout California and beyond. The cidery crafts 3,500 cases (equal to about 12,000 gallons) of quality cider annually, and has a robust and devoted following. But let’s start at the beginning and take a peek at how it all began… and where it’s headed. The Birthplace of Bristols? Bristol. 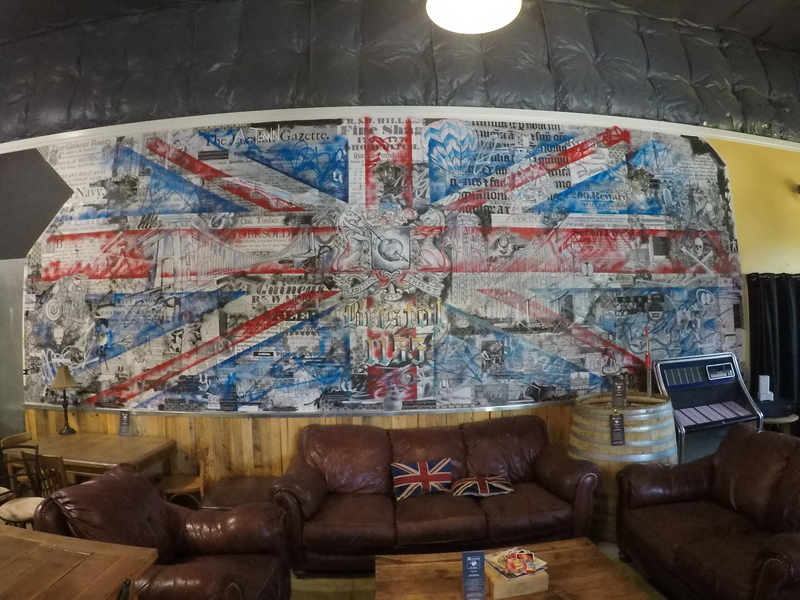 While Bristols Cider House opened in 1994, the spark for the idea ignited many years before in Bristol, England, hometown of brother and sister Neil Collins and Jackie Meisinger, where local pubs offered hard cider, plus camaraderie and a fun atmosphere. Over time, Jackie and Neil both made their way to the Central Coast. Neil’s passion for and career in winemaking had taken him to wineries around the world before coming to California and the winemaker position at Tablas Creek. One day, the siblings were reminiscing about the wonderful hard ciders from their native Bristol. At the time, there was nothing available. 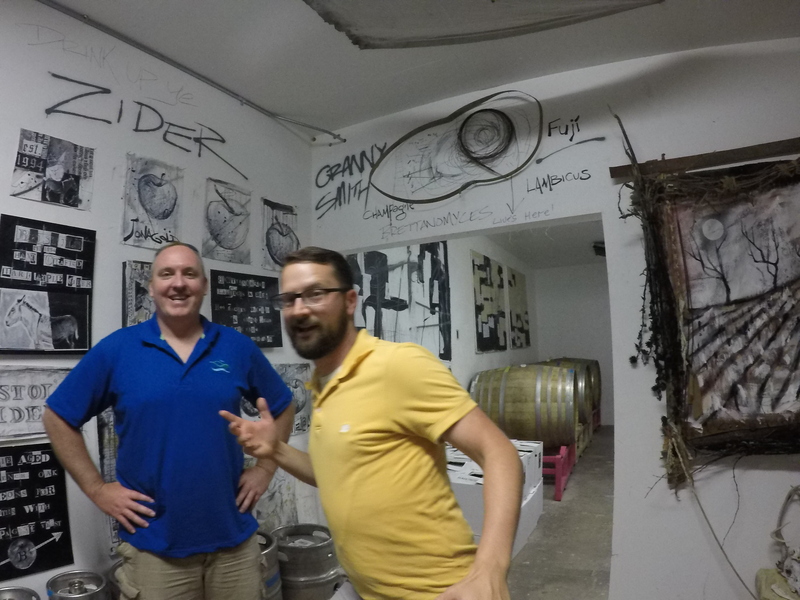 So, they agreed: why not create their own hard ciders and bring Bristol’s traditions of quality ciders to the Central Coast? Bristols Cider House was born. Over the next 23 years, Bristol’s Cider House has grown from that initial spark into one of the bright spots on the Central Coast. Neil and his wife Marci teamed with Jackie to begin crafting hard ciders based on traditional Bristol recipes, and Neil blended in his talents as a renowned winemaker. 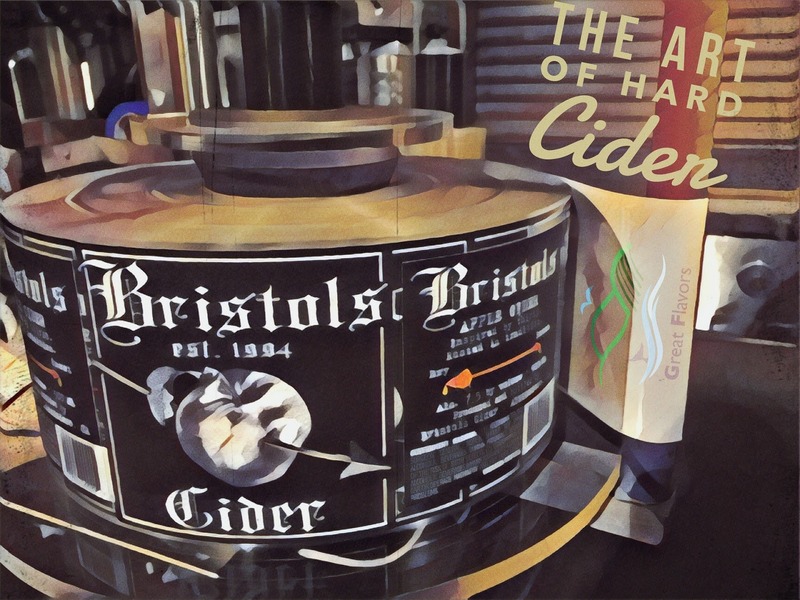 Word spread about the ciders created at Bristols, and eventually they hired a cider maker to oversee the ever-increasing cider production. Adam Welch’s artistic talents included both cider making and murals, and he still creates the distinctive label artwork. Adam Welch joined the team and created not only great ciders, but the unique label artwork, murals, and other art found at Bristols. It wasn’t long before Adam faced a decision: which talent to pursue? With his recognition heating up in the art world, Adam decided to leave behind the fermentation tanks and turn his full attention to creating art. Adam continues to create Bristols’ awesome labels. About two years ago, an equally wondrous path led Erich Fleck to Bristols as head cider maker. After a career in the US Army as a linguist, Erich left Maryland and headed west. His destination: the Enology and Viticulture program at Cal Poly. After Cal Poly, Erich’s wine career first took him to New Zealand, then Portland, where he gained experience both as a wine buyer and in wine sales. Weston Hartley, co-cider maker, is the son of Gray Hartley, the proprietor of Hitching Post wines. The Hitching Post’s fame dates well before the recognition garnered by the movie “Sideways,” as it’s been creating top-quality Pinot Noirs, Syrah, red blends, and other varieties since 1981. As a wine buyer, Erich learned of a winemaking internship at Tablas Creek under the tutelage of Neil Collins. 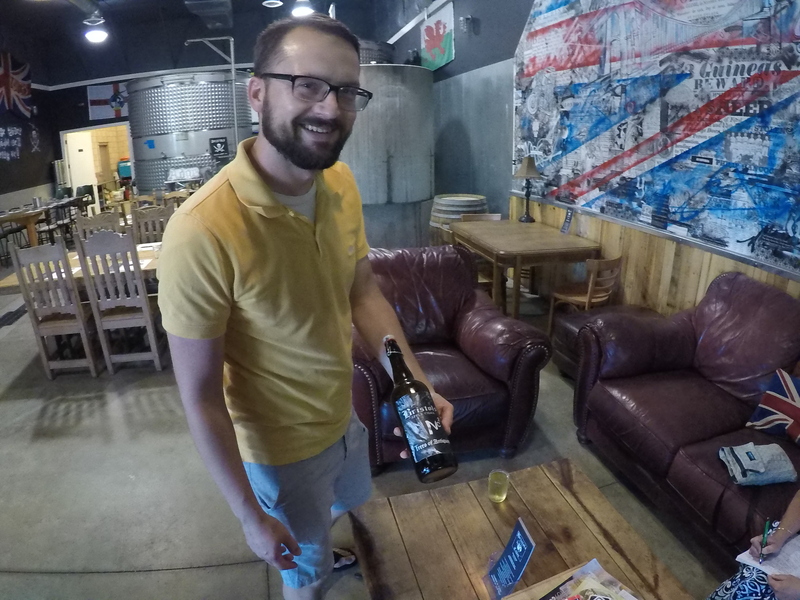 Erich Fleck, head cider maker, shares one of Bristols’ recent ciders: Trees of Antiquity. As Erich worked with Neil at Tablas Creek, he began learning the ins and outs of winemaking, which parallel cider making. Both involve guiding the best of a harvest’s fruit through fermentation, blending, and bottling. So it was only natural that Erich was offered the position as Bristols’ cider maker. And it’s a role he has embraced. Flavor Team member Andrew checks out more of Adam Welch’s artwork on the tour through the cidery with head cider maker Erich Fleck. A great pub is more than just the beverages available on tap or in bottles at the bar. If it doesn’t have an uplifting atmosphere created by staff who truly care about their customers, it won’t last. Or at least it won’t become the go-to place for locals and travelers alike. That’s exactly what’s happening at Bristols, and bar manager Cody is a big part of that. He’s friendly, professional, knows his ciders, and creates an environment that people want to come back to. 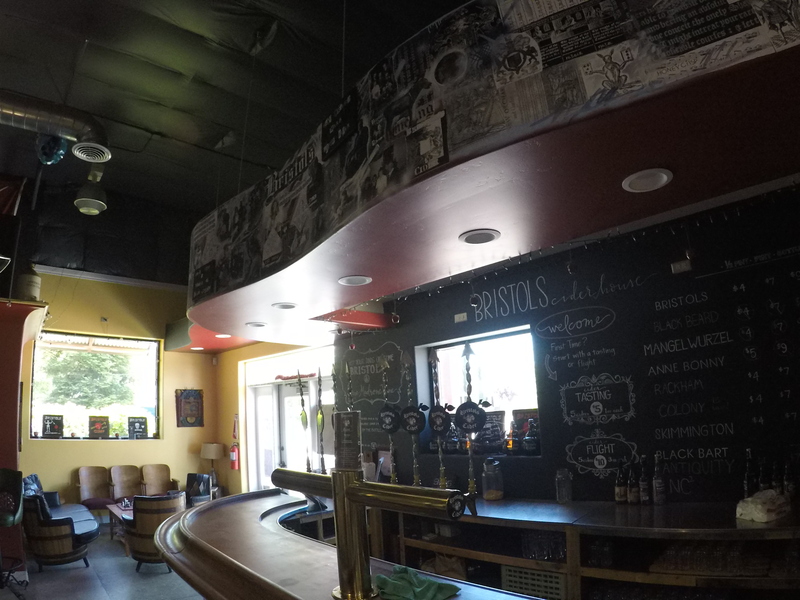 In addition to several ciders on tap or in bottles, Bristols offers live music and food every week. On Thursdays, Chef Jeffrey Scott creates a different curry. Fridays, Farmstead Catering does wood-fired pizza. The space is booked for parties, and Bristols looks for opportunities to foster community both inside and outside the cider industry. For example, it sponsored the recent 2nd Annual Atascadero Hard Cider Festival and co-hosted a hard cider and cheese pairing event with Fromagerie Sophie. Open Wednesday through Sunday, Bristols has become the chosen spot for many to meet friends, and many first-timers become long-term customers after their first visit. When asked what’s ahead for Bristols Cider House, Erich explained by reaching back to his internship with Neil several years ago. Bristols offers a range of quality hard ciders, from the light and carbonated to still farmhouse styles. And along the way, through the years from fruit to harvest to bottle, the foundation of Bristols Cider House has been consistency. But it’s not been consistency producing a narrow range of the same few ciders year after year. “Our consistency is in our quality, not necessarily in sameness,” explained Erich. He’s learned from Neil that wine makers and cider makers are stewards, not the absolute creators, of what happens along the way. That journey is about always looking for ways to keep learning, keep growing, and keep improving. Stay tuned for a look inside the apple barrel and the cider-making process. Here’s a quick look at a few of their current offerings.